Legendary children's entertainer Count von Count was arrested yesterday at the scene of the apparent horrific murder of Oscar T. Grouch. Both muppets starred on popular kid's TV series Sesame Street. Roving reporter Kermit the Frog stumbled onto the bloody scene to find the dismembered remains of the unpleasant Grouch with the Count unconscious next to the body. Kermit explained: "Well, it's not easy been green - everybody thinks you're always feeling unwell. Well, I guess I thought I'd prove them wrong - I'm not squeamish, I'm always this color. So I decided to hunt the Muppet Serial Killer..."
Two months ago the first incident of what does now appear to be a serial Muppet murder rampage happened at rival kid's TV series Smile Time. Four muppets ('Ratio Hornblower, Polo, Grrl and Grufus) and their human agent Gregor Framkin died in the frenzied attack. Initial suspicion fell on both the Sesame Street regulars and the Telebubbies. Washed up TV presenter Roland Rat published photos of an alleged meeting between the Teletubbies' dogsbody NooNoo and Sesame Street's Mr. Snuffleupagus. Further investigation by the News of the Universes can exclusively reveal that the photos were indeed genuine but do, however, show the two puppets out on a conspiracy free hot date. The News' top technicians have managed to get their hands on the NooNoo's mechanical brain and have dissected it to reveal the sizzling truth of their relationship (more in an upcoming special: Noo Cried Mr. Snuffleupagus). A blaze at the home of bed fellows Bert and Ernie three weeks ago, that resulted in both their deaths, added an extra barbecued-felt dimension to the inquiry. Initial reports suggested the fire was started after a domestic dispute over a chip pan and how to tell the time but rumours persist that this is merely a smokescreen for a terrible murderous truth. At this time the Children's Television Workshop Police refuse to speculate on any possible connections between this case and that either of Smile Time or Oscar the Grouch. A spokesman for Sesame Street, Big Bird, had only this to say: "Here at Sesame Street we don't let bad things get us down - we sing a happy song. 'Just because Oscar can no longer say scram, and he's being turned into spiced ham. 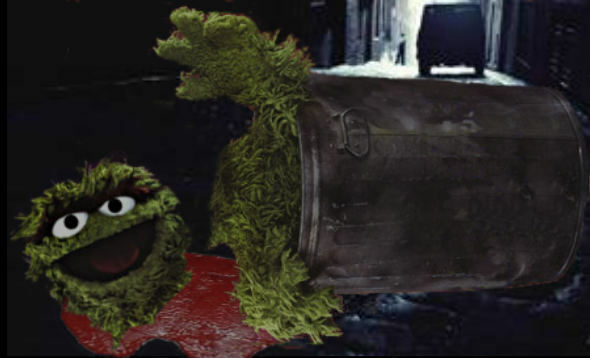 Don't let that get you down...'"
Further wrinkles in the fabric of the Oscar case include the widely reported recent release of the Grouch from the Betty Boo Rehabilitation Centre for Troubled Muppets and Toons. A source close to the organisation told us how Oscar had to be escorted from the building after he allegedly molested Xander Harris in the showers. Police have ruled out Harris as the prime suspect of the Grouch's murder - Harris is known to be still incarcerated in the clinic and fighting the alcohol problem that resulted after he lost an eye and then his ex-fiancée at last year's Annual Sunnydale Apocalypse event. 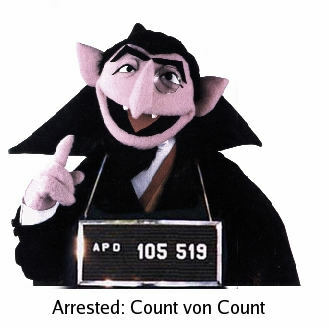 An anonymous informant has come forward to defend the Count from the charge of murder, citing that the vampiric muppet actually faints on the sight of blood. 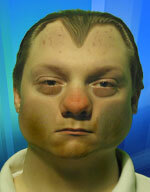 While this may explain why the Count was found unconscious at the scene it does not rule him out of the murder. A passer-by close to the scene, who also wishes to remain anonymous, reports seeing a shadowy figure shortly before the incident: "... only if me get cookies! Good. Saw funny pale muppet, in shaded alleyway. Evil yellow eyes, nasty eyebrows. Big sharp teeth - good for eating cookies. COOKIES!" Defence Attorneys for Count von Count today announced that they are looking for any other muppets that match the description. The closest known match is that of their client the Count who is now being held on remand. Early indications are that the trial will be released as a major movie next summer, to be entitled 'Law and Muppets'.